Airmail letters to Venezuela cost twenty-five cents per half ounce from June 22, 1938 until April 1, 1945. This double weight cover was sent to Barcelona, Venezuela in May, 1940. Airmail to Curacao was twenty-five cents a half ounce December 1, 1937 to April 1, 1945. This double-weight cover was sent in February of 1944. The airmail rate to Africa, other than the Mediterranean area, was twenty-five cents from November 1, 1946 until July 1, 1971. 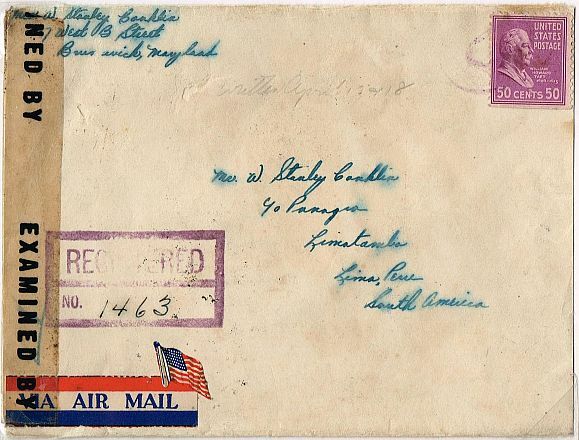 This double weight cover was sent airmail to Cameroun in 1947. The airmail rate to Asia, Australia and Oceania was twenty-five cents from November 1, 1946 until July 1, 1971. 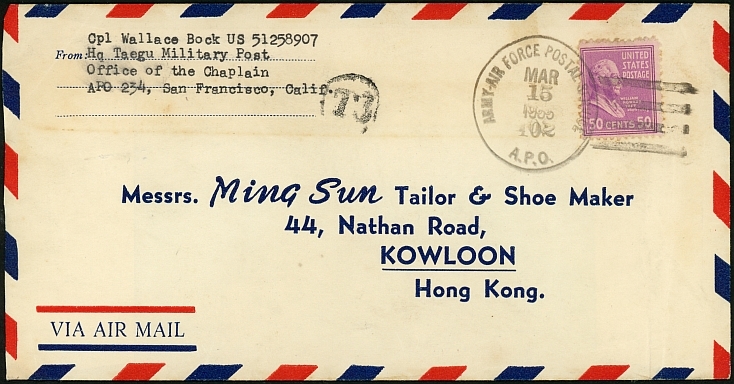 This double-weight cover went to Hong Kong from an APO address in South Korea in 1955. This cover was sent at sixteen times the foreign surface weight in 1945. First ounce was five cents, and each additional ounce was three cents, for 5 + 15 x 3 = 50 cents.